liberal religion | Rabbi Lawrence A. Hoffman, Ph.D. The world is filled with certainties that aren’t – like the myth that religious denominations are dead. We will eventually have three inchoate pools of people, it is said: Orthodox, “Other,” and Unaffiliated. Already Orthodoxy is less a denomination than a way of life rooted in halakhic observance, community consciousness, and synagogue centrality. “Other,” presumably, will feature the very opposite, synagogues as “limited liability communities” that collect dues in exchange for rabbis on call, life-cycle ceremonies, and occasional events like High Holidays. The growth market will be “a pox on both your houses” — the unaffiliated altogether. Evidence for this sorry denouement includes the documented decline in religious affiliation generally, the generational replacement of the baby boomers (who joined things) with their children (who don’t); economic conditions that allow little luxury for supporting synagogue movements; an internet era that provides programming for free; the declining numbers of Conservative Jews, once the majority denomination; and the stagnation of Reform Jews who maintain their numbers only because of the in-migration of Jews by choice. So why are denominations not necessarily on their way out? Denominational obituaries assume that organized religion in general is a thing of the past, but it is equally arguable that religion is just changing, not disappearing. Religion, as we know it, is a post-World- War-II response to the Cold War era, baby-boomer children, and suburbia. Synagogues insulated Jews against latent anti-Semitism, and provided safe spaces to rehearse ethnic identity and support of Israel. Plenty of post-war money paid denominational offices to provide the programs that a synagogue needed to ramp up and reach out. Denominations back then had bureaucracies that churned out personnel and services; what they did not have is a clear ideological mandate to justify the personnel and services they churned out. No one will join that kind of denomination. But denominations are what we make of them. They can define what religion is becoming not reflect what it used to be. Precisely this ability to evolve with the times is what makes religion in America so exceptional. Indeed, one explanation for its robustness, relative to the anemic state of religion in Europe, is America’s separation of church and state, which has prevented state support and conditioned religion instead to fend for itself. Static churches, sociologists say, die out; creative ones succeed. Denominations that hunker down with old ways of thinking are indeed doomed. But denominations that think differently have a future. This different denominational thinking must acknowledge the fact that, unlike the Cold War era, ours is a time of spiritual search. The limited liability synagogue that trades dues for services will find competitors who offer bar/bat mitzvahs, weddings, and even funerals (not to mention high holidays) for a whole lot less than what it costs to be a member. And who needs denominations just for that? But assume our synagogues respond to the spirituality surge and urge us on to be our better selves. Assume they deliver purpose, meaning, and a reason to be alive. Assume further that they ritualize these higher human goals by connecting people to each other, to their past, and to God. Assume also the existence of rabbis who have something deep to say – rabbis, that is, whose intellectual acumen is equal to whatever society offers elsewhere at its thoughtful best. 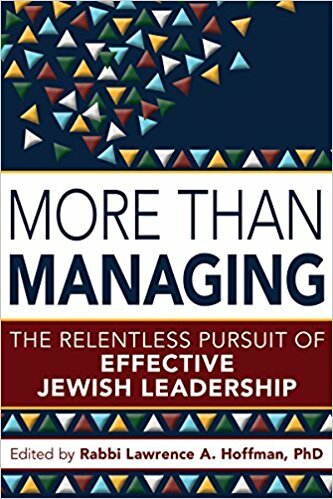 Assume, in a word, that synagogues manage to ennoble the human condition in communities of commitment, where the scar tissue of entrenched routine is replaced by an intentional response to the human yearning to matter. Suppose all this, and you get synagogues that need denominations. A single synagogue has but limited reach while denominations unify a thousand synagogues to influence policy round the globe. Denominations can run seminaries that invest in visionaries who compete in the marketplace of big ideas. Only denominations can galvanize large scale investment for a Jewish future; rally opinion world-wide; or have a voice that must be taken seriously far away in Israel and in circles of power everywhere. Only denominations can argue our way to a viable vision of religion for the vast mass of Americans who yearn for a form of religion that is not Orthodox but is equally authentic and equally deep. I write this after attending the latest biennial of the Reform Movement, which certainly didn’t look dead or dying. It reaffirmed its commitment to the marriage of modernity and tradition; the courage to take moral stands; an inclusive vision for Jewish Peoplehood; and a compelling portrait of Judaism at its moral and spiritual best. It was religion as it just might be, religion that only denominational greatness can provide.